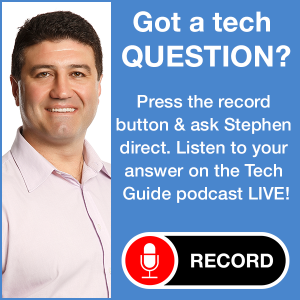 The lucky 13th episode of the top rating podcast Two Blokes Talking Tech, featuring Tech Guide editor Stephen Fenech and Trevor Long, is available now. Topics this week include the new Lenovo X1 laptop, Samsung Smart TVs, Android device security fears, the restored PlayStation Network plus a look at some fun new apps. The “blokes” also discuss Samsung’s camera range and Seagate’s portable hard drive which streams content to an iPhone or iPad. Just click Playlist and you’ll see Episode 13 at the top of the list. 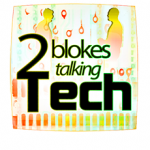 Or you can choose to hear any of the earlier episodes of Two Blokes Talking Tech.